Sub Zero: I'm on number 5! I love em, and the more people who tells me 'they're ugly' the more I'll love my bug. Take the badge off the front of most cars today and most people wouldn't have a clue what they were looking at. You don't need a badge on or off a bug to know what it is. Front, back, side or rear, there isn't a car even close to it for stand out shape. It's comfortable, reliable, economical and a pleasure to drive - it's a 6 seater car or a 3 seater van, you've got the best of both worlds. Yeah, it's got it's bad points, show me a mota without any. Most of us bug lovers do our own spannerin, so it's become a vocation rather than a chore, I'd even go as far as saying it's therapeutic - the feeling of joy when you've given your baby a new lease of life is a joy to behold. Last edited by Macento; 23-02-2016 at 20:30. Such a horrorshow on wheels.. Seeing as we're here - who saw the matte green and yellow Multipla at Brooklands? Oh dear! It's almost as if a UK lighting engineer had issued an engineering report, throughout the Fiat family, stating that the best way to optimise the range of smaller headlights was to raise the height of the main beam function, (then not as prescribed as the dip-beam's position). At the mo, enjoying a fortnights break down the Algarve, wiv 'our kid', after he did his spell of driving he changed his mind about the bug, he now thinks it's a good 'un. The day Hellgium allows engine swaps, or Fiat provides the necessary paperwork for it to happen, I'm getting one! The range of engines and the fact most of them are rundown by now holds me back. But with a 20v turbo in it? Give me that ugly duckling and take my 2016 Doblo! What was actually the thought/the purpose behind the Multipla look ? The design is inspired by the shape of a pregnant woman, at least that's what's been told to me and I get it. I'm sorry for the 28 guys who voted "cool" . I think it's the worlds most ugliest car ever designed. I would not drive such a vehicle, even if they gave me one. There are a few cars with iconic names, the Beetle, the Ugly Duck (2CV) on this list is the Multipla for all the wrong reasons. In the Netherlands many referred to this car as "the forbidden M word"
Says it all really,.. Fiat is and especially was known for it's true iconic designs, many of the classic cars being designed by a few designers that quickly went down into history as some of the ultimate car designers. Many other car companies often borrowed these designers to help design their cars. 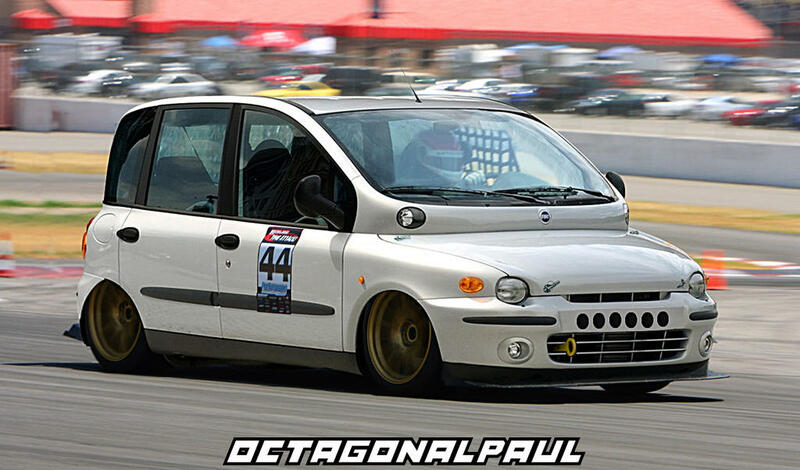 But I don't know what Fiat was thinking with the Multipla??? I totally understand it's functional aspects but that seems to be it's only primary focus. Last edited by Abarthian; 24-05-2017 at 11:29.
certainly are marmite cars, you either love them or hate them.. would love one myself. Seems more people hate them than love them but that just makes me want one more lol. I had 2 multipla's, both with the old nose (one with the fridge).